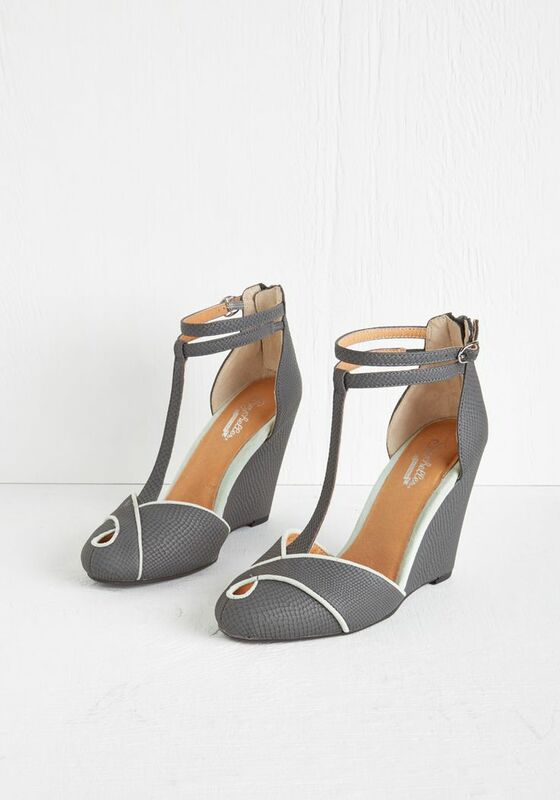 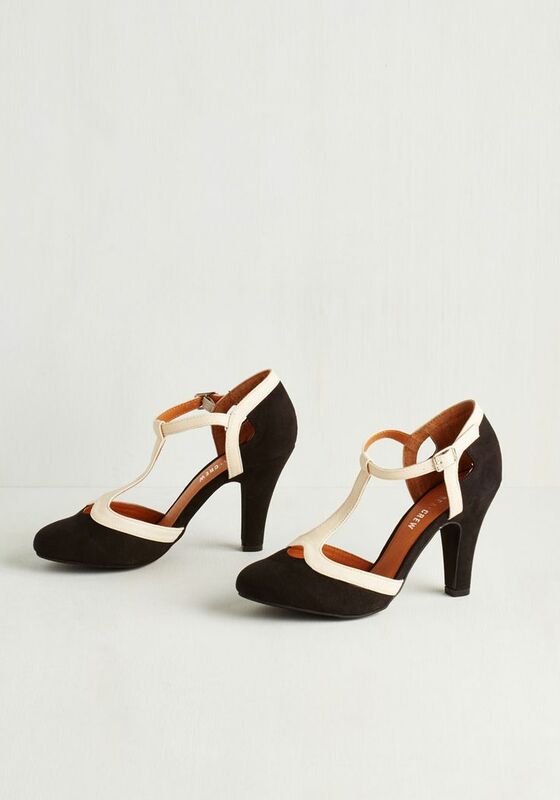 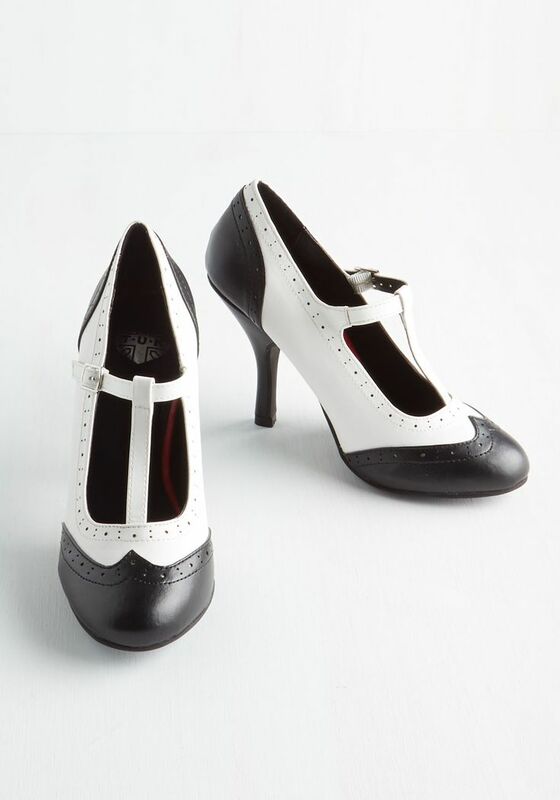 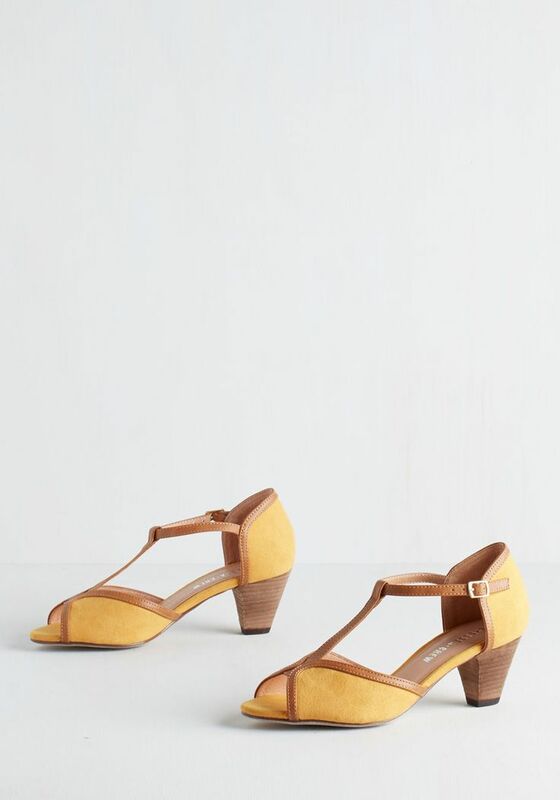 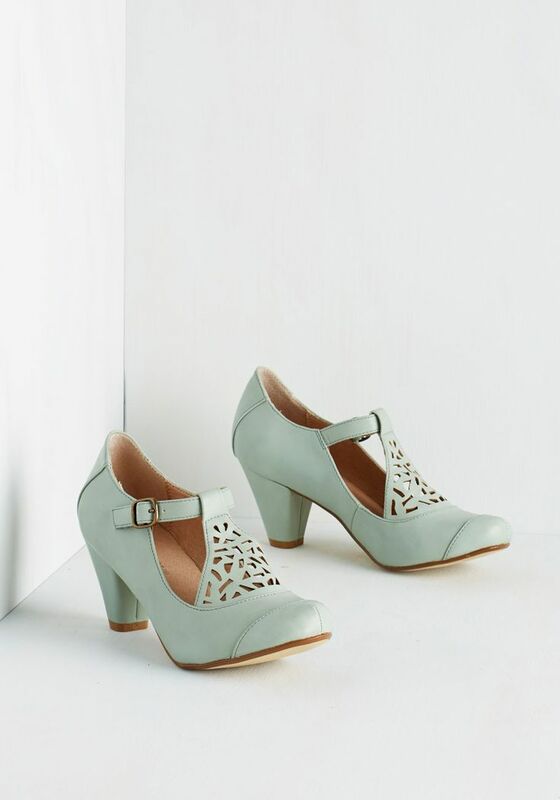 T-strap shoes are the perfect mix of modern and vintage. 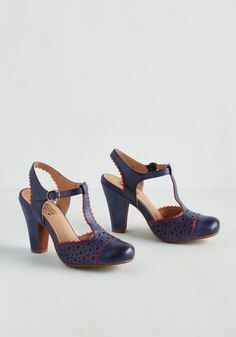 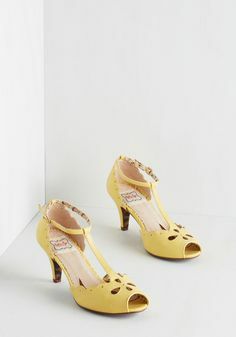 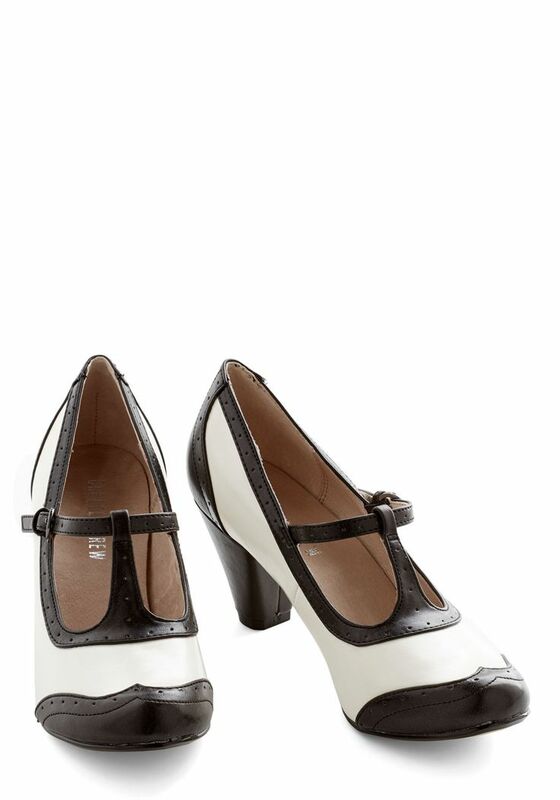 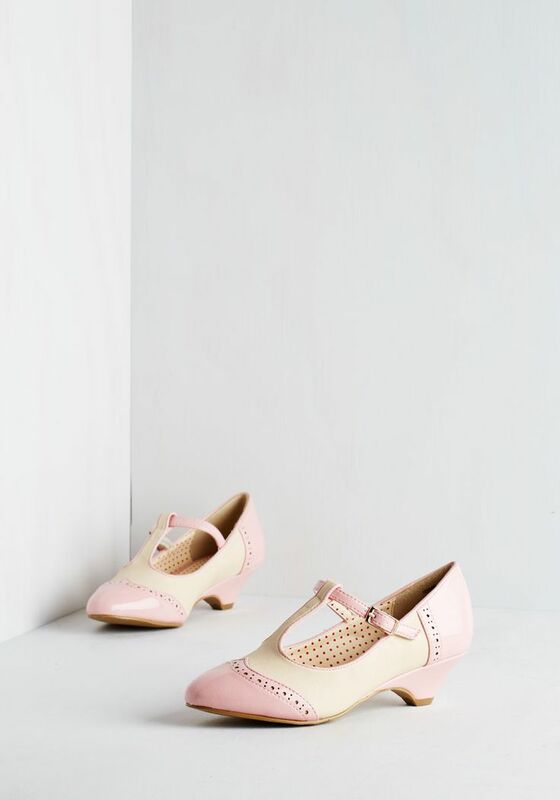 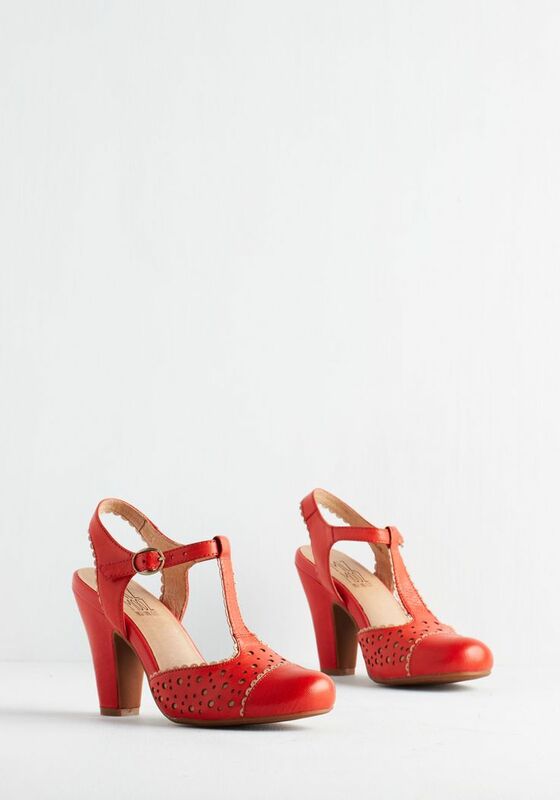 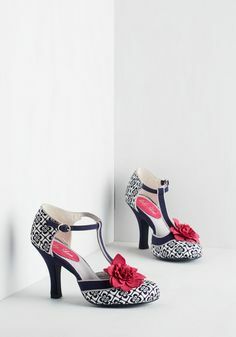 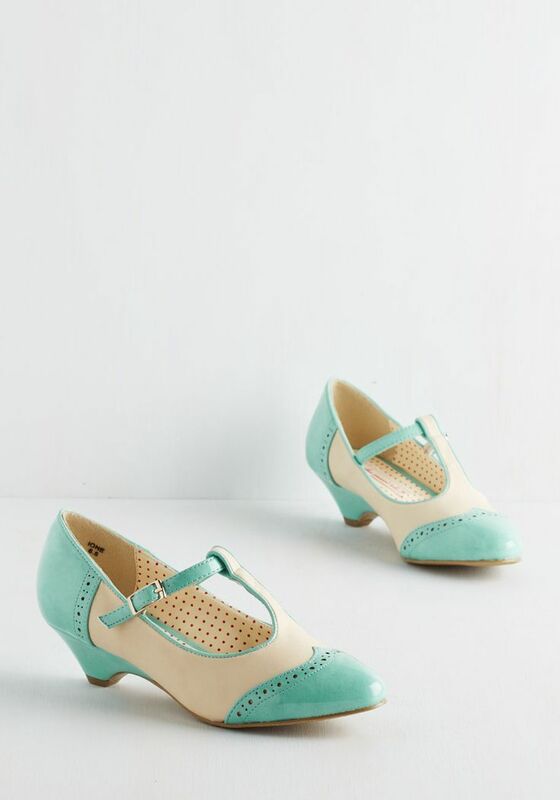 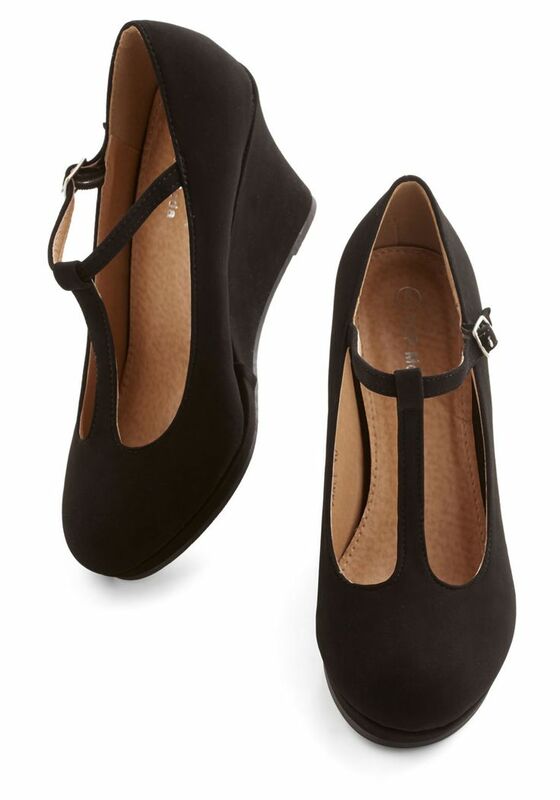 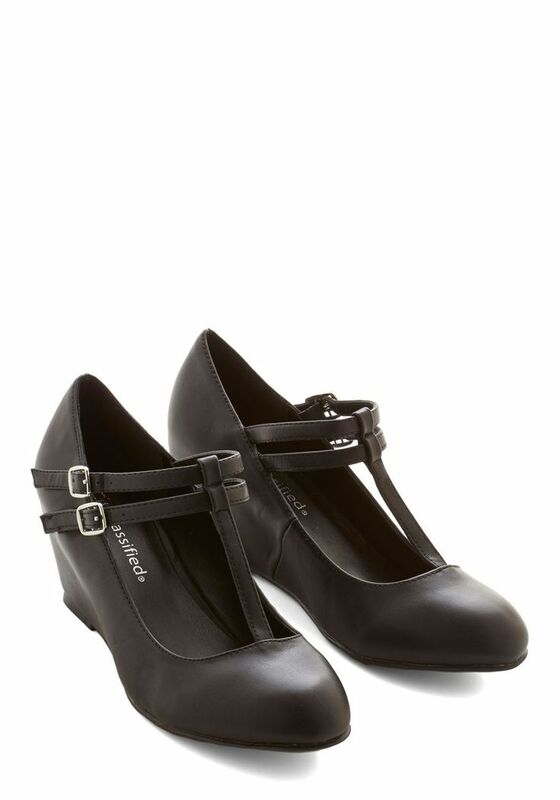 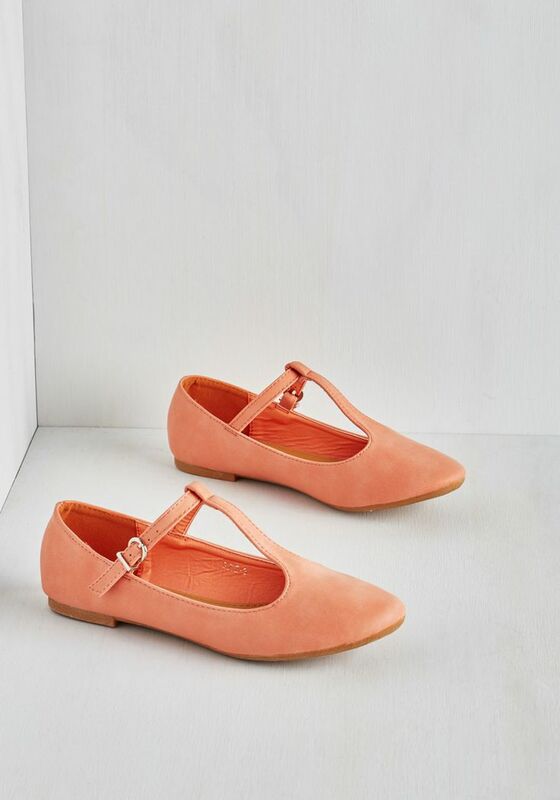 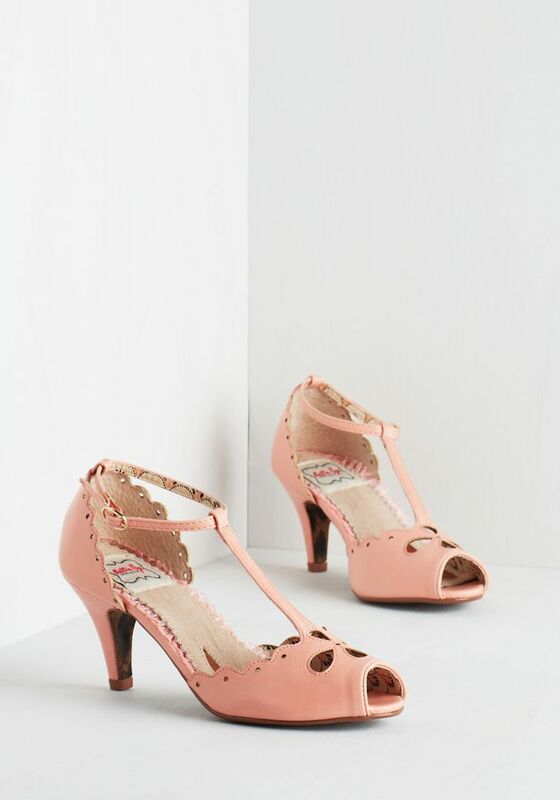 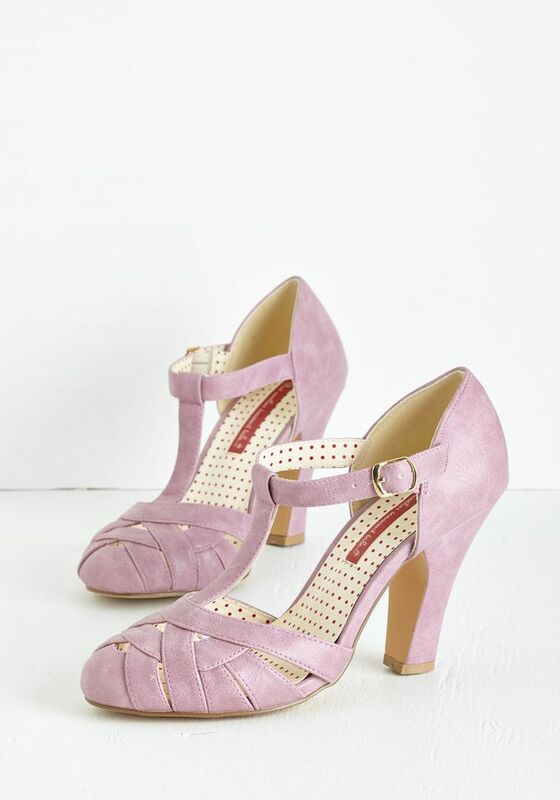 you can wear them with the perfect 40's or 50's inspired dress, or with skinny jeans and a jacket. 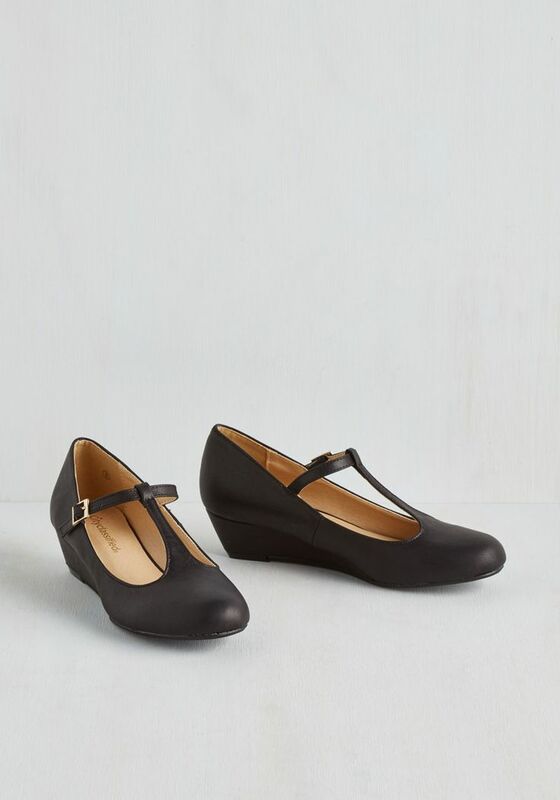 They go with everything and won't go flying if you decide to randomly start doing high kicks (we do not recommend testing that theory if you are not an experienced dancer/cheerleader). 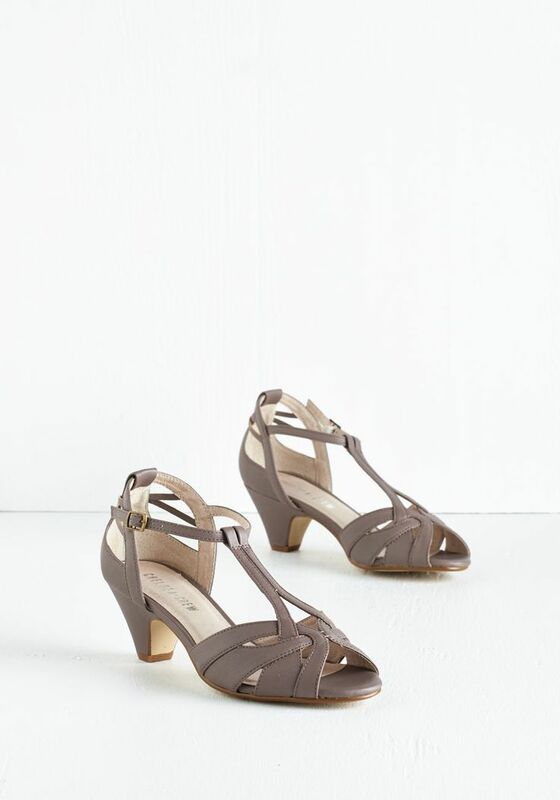 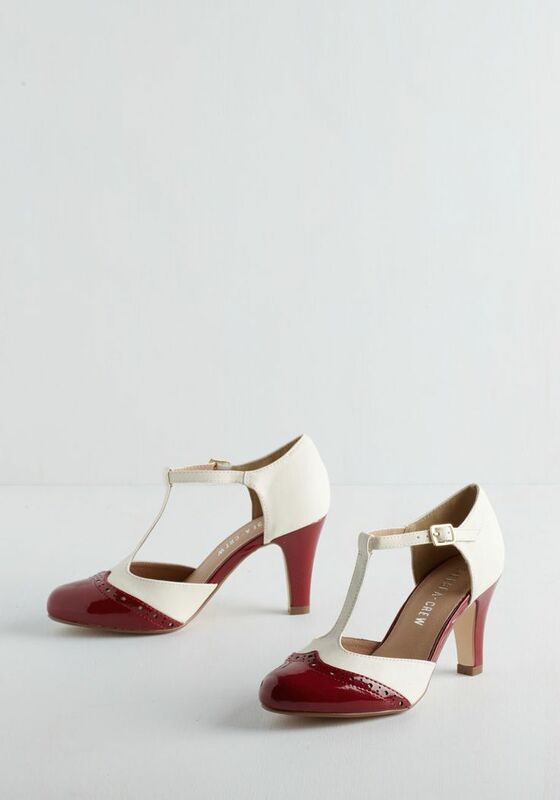 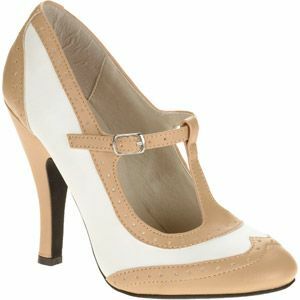 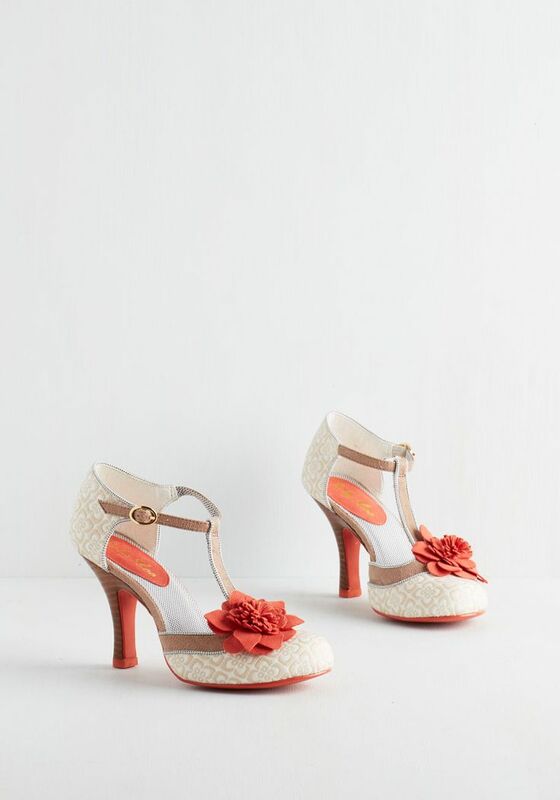 I wore t-strap heels for my wedding (see here) and they were quite comfy for an inexperienced heel-wearer like myself. 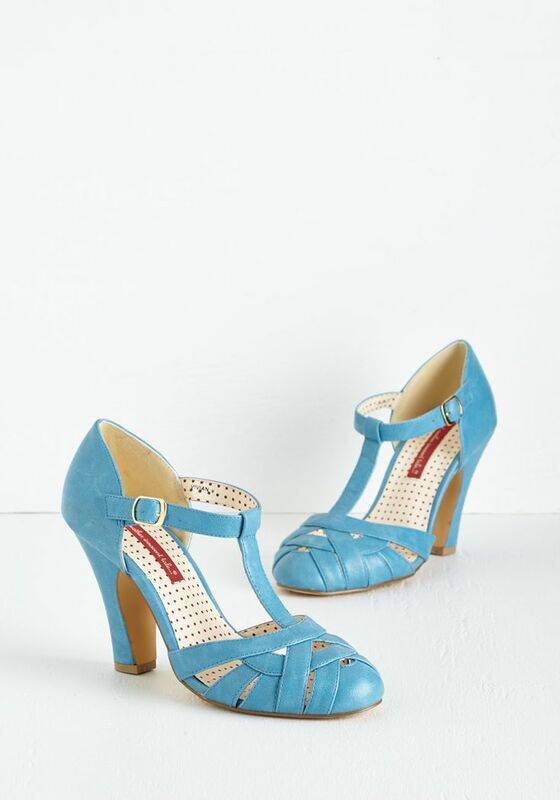 Here is a portion of the t-straps from ModCloth for you to check out. 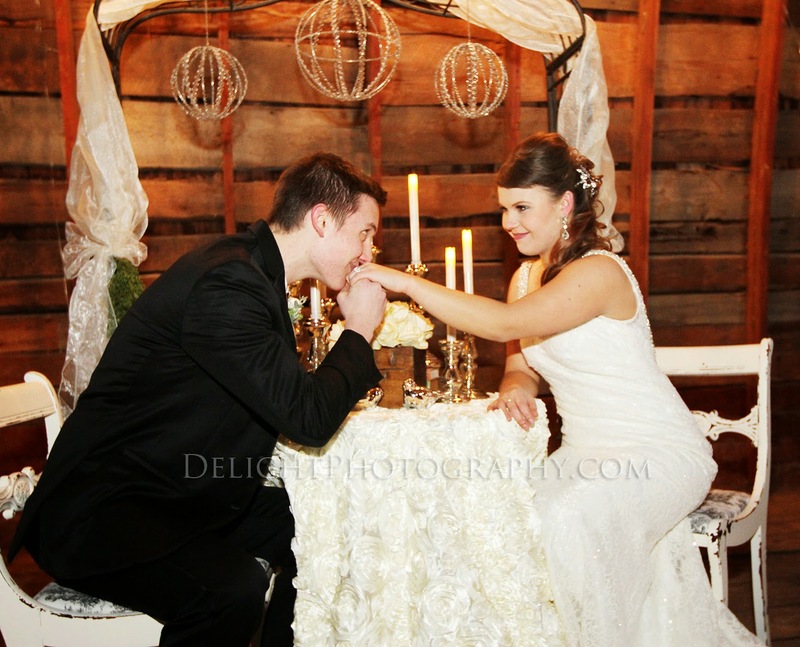 Let me know if there is anything you would like to see featured in the future!